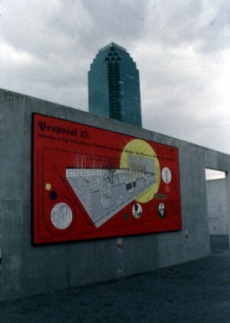 Proposal 15. Redesign of the Abby Aldrich Rockefeller Sculpture Garden. 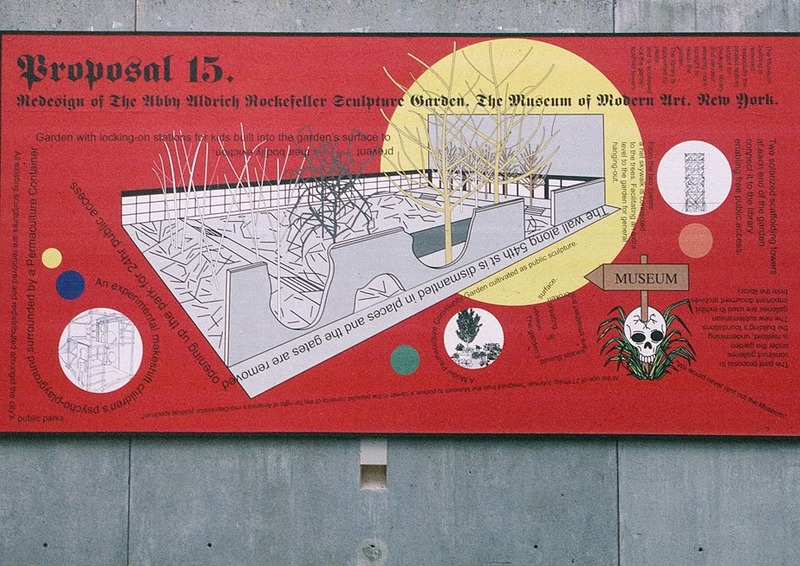 A now lost proposal arguing for a radical redesign of MOMA and its sculpture garden. 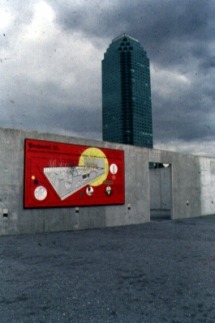 Advocating the demolition of the museum's exhibition spaces, retaining its archive and library which would be accessible via an elevator. 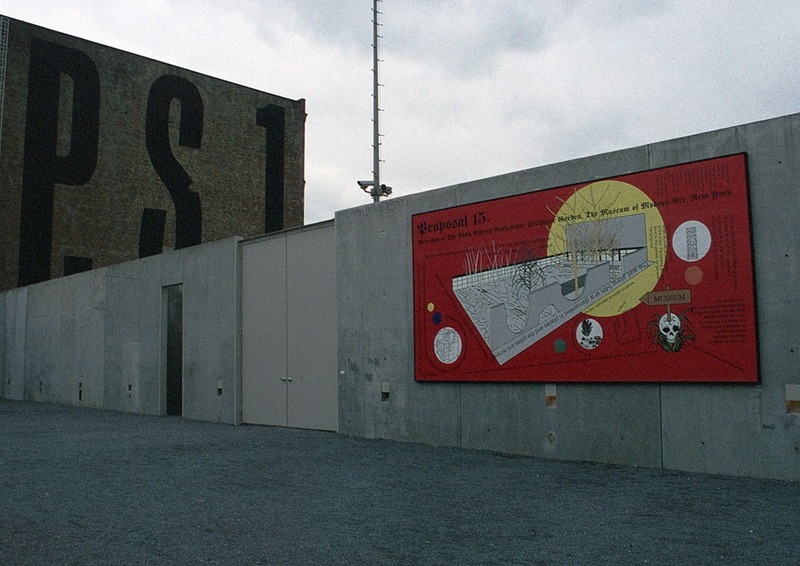 The sculpture garden would be broken up and holes punched in the garden's wall to allow open access from the street.